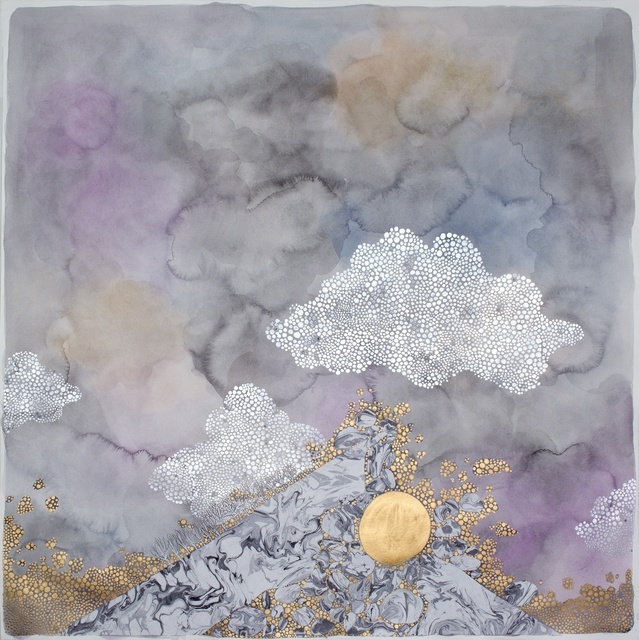 Crystal Liu constructs landscapes that are metaphors for her emotional states. 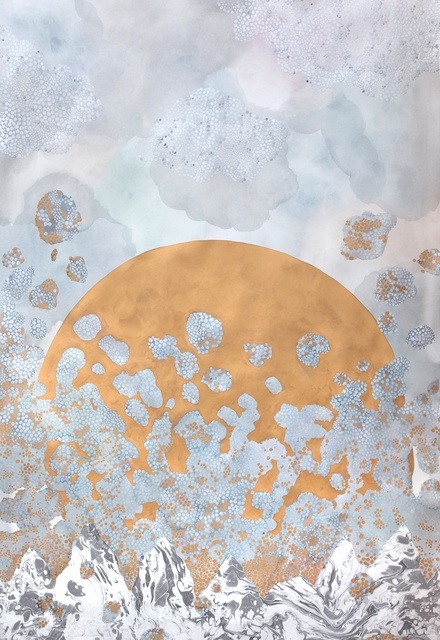 In large-scale paintings on paper that incorporate marbleized paper, watercolor, & metallic pigments, the elements of earth & sky enact narratives of conflict, entrapment, longing, & precarious hope. 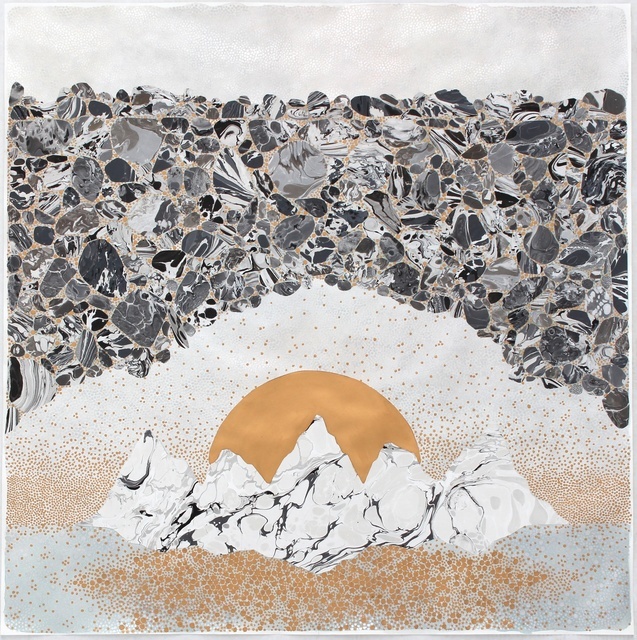 Crystal Liu constructs landscapes that are metaphors for her emotional states. 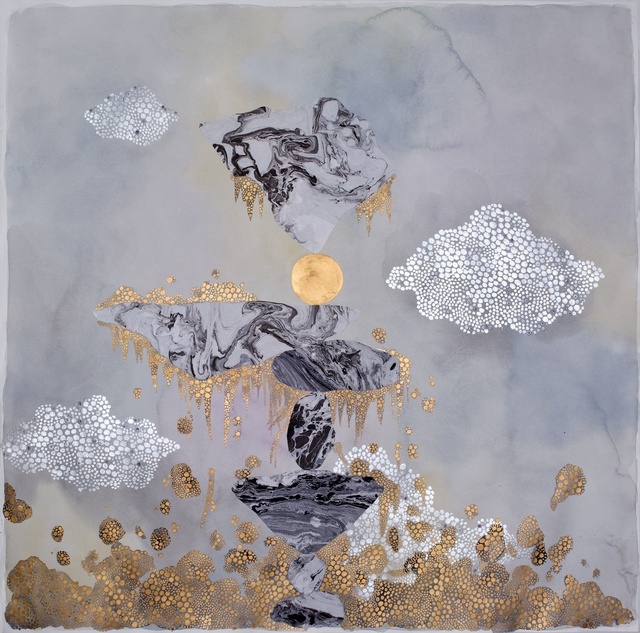 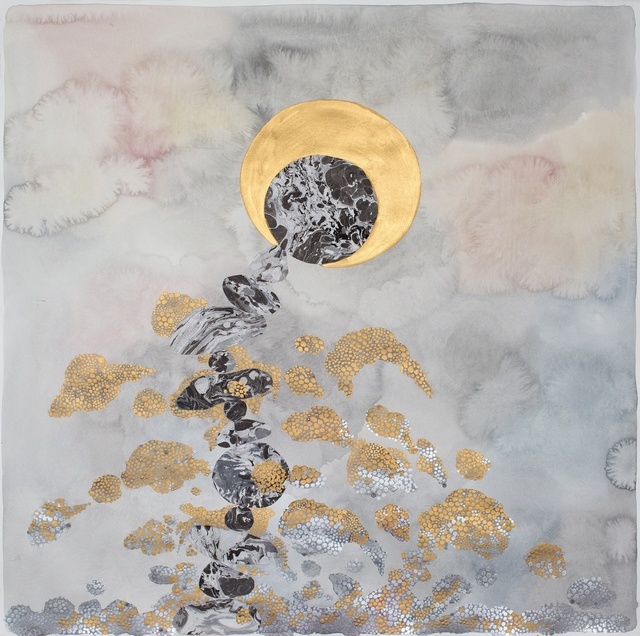 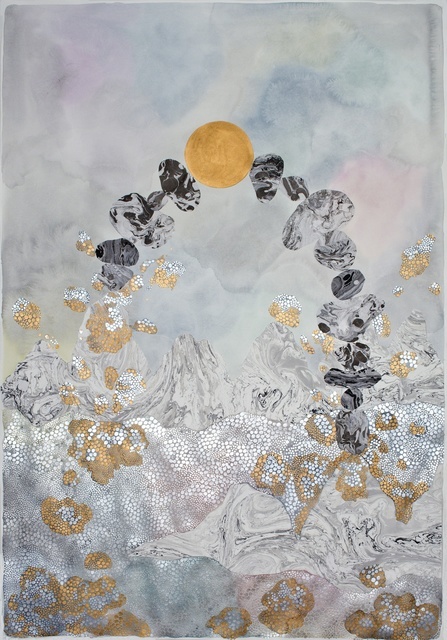 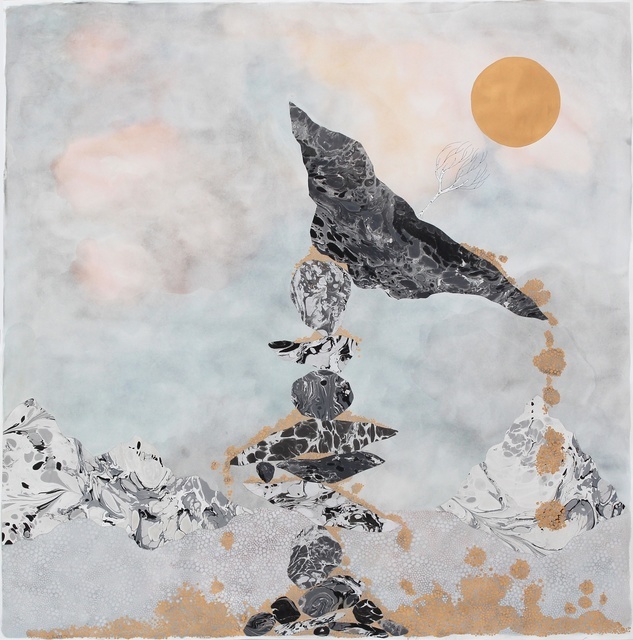 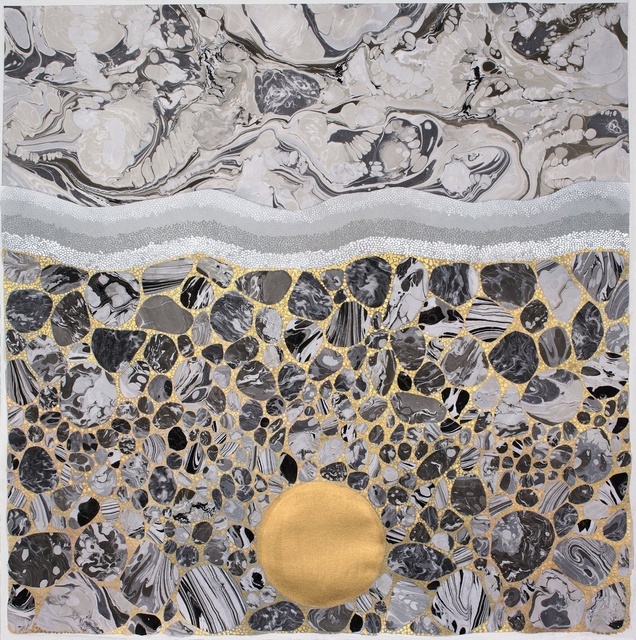 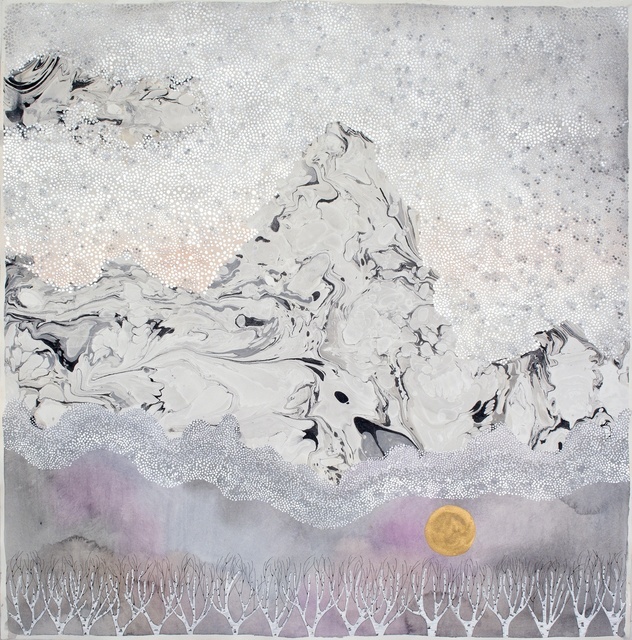 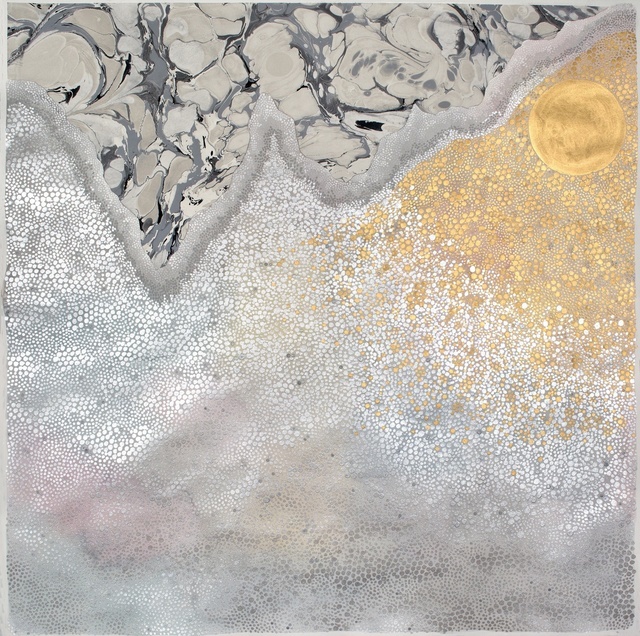 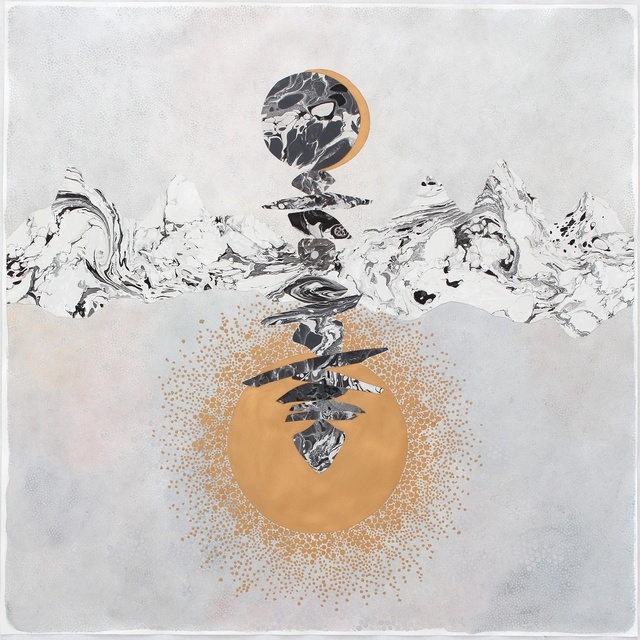 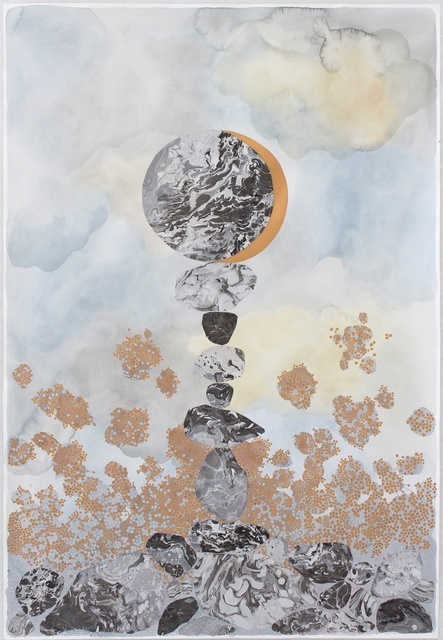 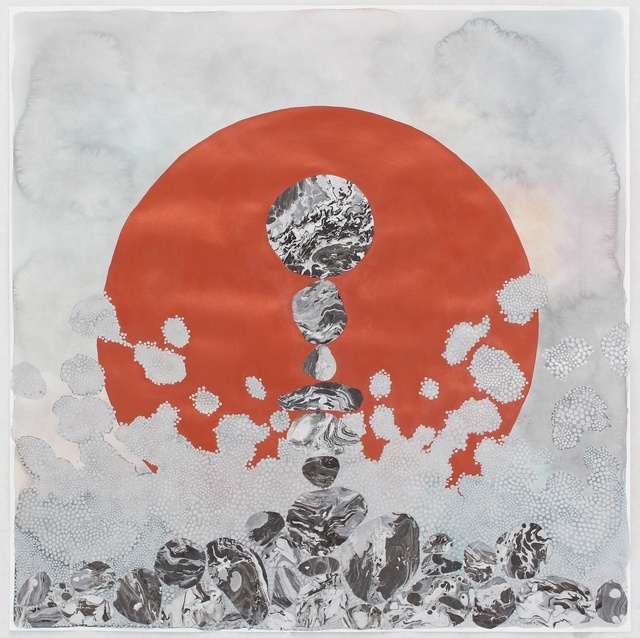 In large-scale paintings on paper that incorporate her adaptation of the technique of marbleized paper along with watercolor and metallic pigments, the fundamental elements of earth and sky enact narratives of conflict, entrapment, longing, and precarious hope. 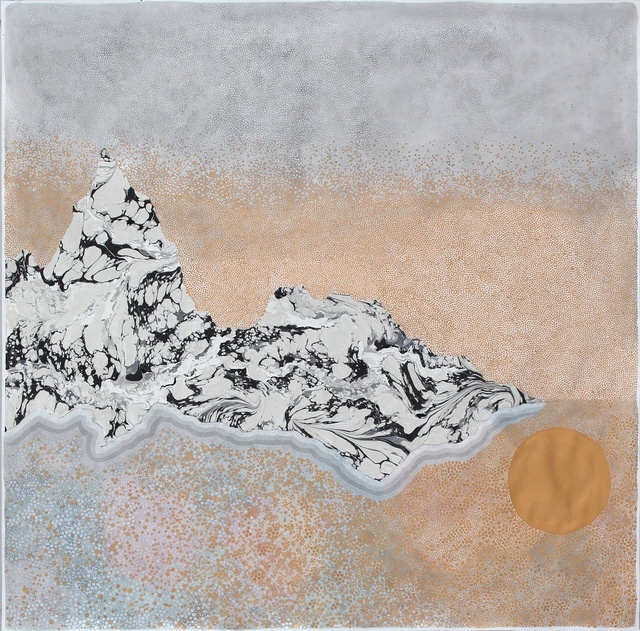 There are echoes of the centuries-old tradition of Chinese ink brush painting in the swirls of marbleized black ink and the efficient distillation of line, form and color into evocative depictions of stone, mountain ranges, and subterranean cross-sections of earth. 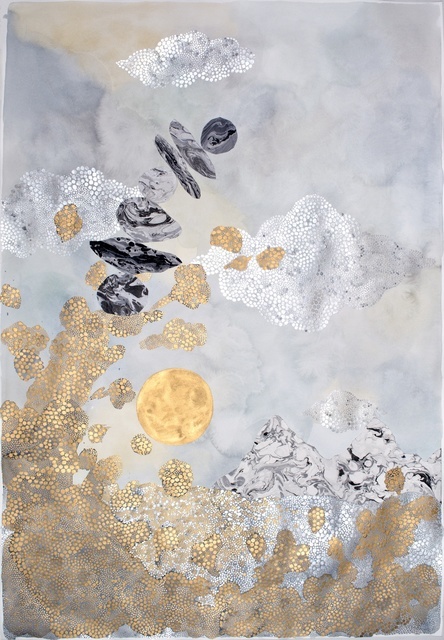 Metallic gold pigment provides a stark contrast in the form of a moon and hundreds of stars, which become the protagonists in an epic odyssey of faith and tenacity against the daunting forces of reality. 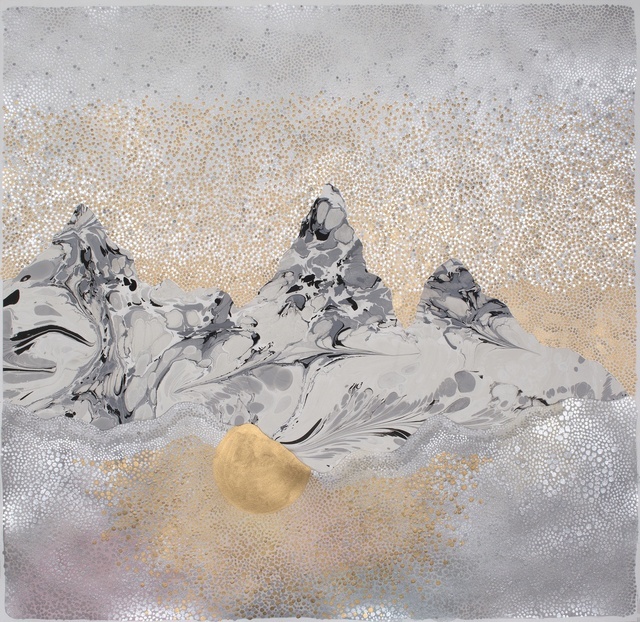 Crystal Liu's parents emigrated from China to Toronto, Canada, where she was born in 1980. 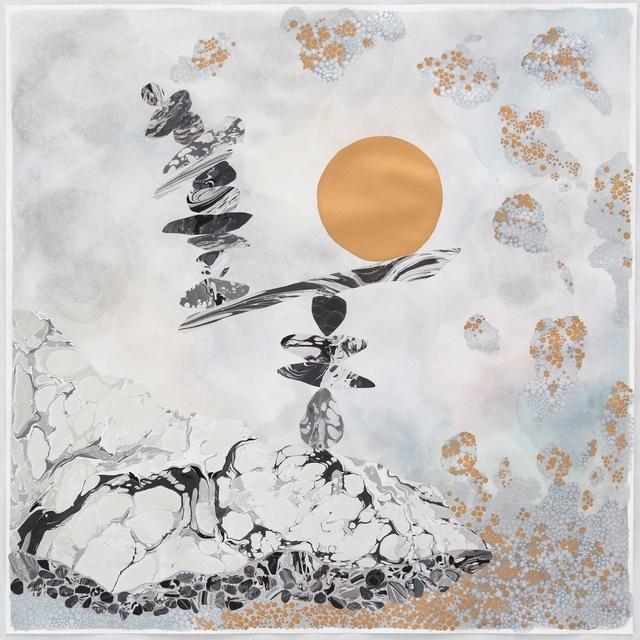 Liu majored in photography at the Ontario College of Art & Design and received an MFA at the San Francisco Art Institute in 2005. 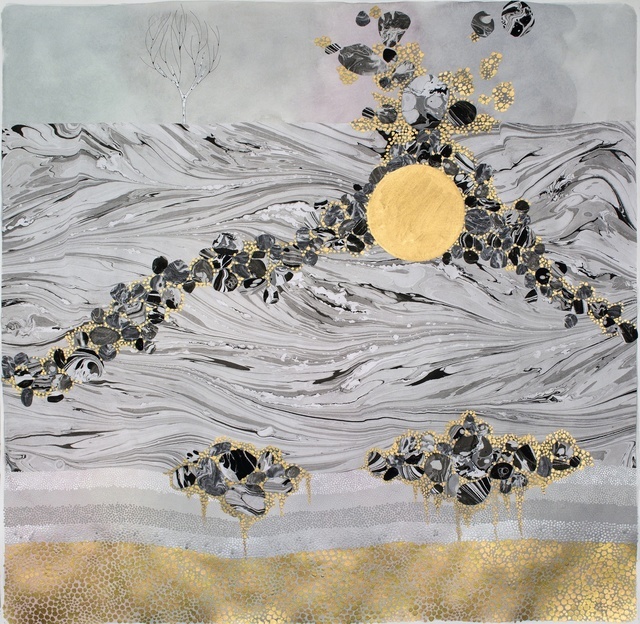 She resides in San Francisco.